We saw the HTC One, the Galaxy S4, the Nexus 5, the Moto X and G, the Xperia Z1, the iPhone 5s, the LG G2 and the Nokia Lumia 1020 to name but a few. They’re all excellent phones and although no one device may tick every box, as a whole these and many more devices released in 2013 have pushed the advancement of mobile technologies along in one way or another. We’ve seen the first 64bit mobile processor, the first 41MP mobile camera, phones with over 2GB of RAM, contextual sensors, improved touch-less controls, increased average screen sizes with HD resolutions, curved/flexible displays and so much more. Going into 2014 this trend looks set to continue at a phenomenal pace with features like 2K and 4K mobile displays being rumoured for upcoming devices, as well as widespread adoption for 64bit chips, 4K cameras and so on. It’s going to be amazing. While a number of specific areas of mobile technologies are improving exponentially, it isn’t consistent throughout. A major area for improvement lies with battery life. We can have the best hardware in the world, but without the battery life to support our 4K screens, ever more demanding applications, 4G and upcoming 5G data networks and so on, we’re going to end up with very expensive paperweights unless they’re forever tethered to a power source. It’s a fact; battery life hasn’t kept up with other mobile technological advancements in recent years, improving on average by only 5% a year. Instead manufacturers are plunging their resources into the ongoing spec-war, touting Octa-core processors and rebooting mobile fingerprint scanners. Batteries have fallen to the wayside, victims of neglect. Some manufacturers have been smart enough to provide larger batteries (LG G2, Motorola Droid Maxx) to keep devices going for longer, but wedging in a larger battery doesn’t magically solve the underlying problem. We need to see advancements in battery technology on a scale much larger than what we’ve seen in the last few years. That might just be happening this year. A recent publication from the University of Illinois shows off a new kind of battery that can deliver 30 times the capacity and recharge 1,000 times faster than conventional batteries. Incredibly, these batteries “..are only a few millimeters in size, yet they pack such a punch that a driver could use a cellphone powered by these batteries to jump-start a dead car battery – and then recharge the phone in the blink of an eye”. Unbelievable. Similarly, the University of Texas, Arlington have developed their own technology that, while not a reinvention of the battery, use “micro-windmills” (1.8mm at their widest point) to keep mobile phones charged up. “Wind, created by waving the cell phone in air or holding it up to an open window on a windy day, would generate the electricity that could be collected by the cell phone’s battery”. While both of these new technologies are some way away, Amprius has already brought to market a battery promising up to 20% more energy than anything else currently available. While that isn’t phenomenal, it’s 4 times better than the average annual improvement on batteries and is available right now. It could be powering your next phone. Will 2014 bring better battery life? It may be too soon to say for sure, but I’m optimistic that this year may finally bring the improvements mobile devices so desperately need as they push the boundaries of technology further and further. 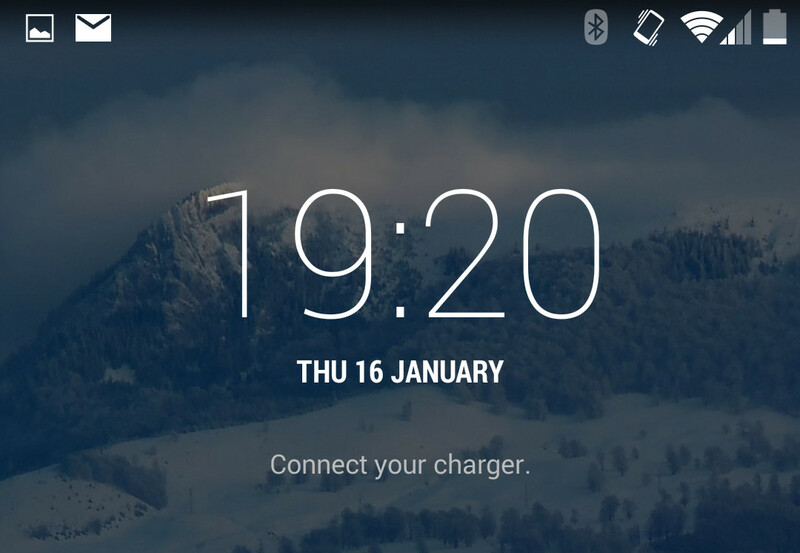 In the meantime, if you’re struggling to keep your device from running out of juice, you may want to check out Battery life – avoiding the power outlet for tips on battery management. Want to get involved? Comment below or follow the conversation on Google+.